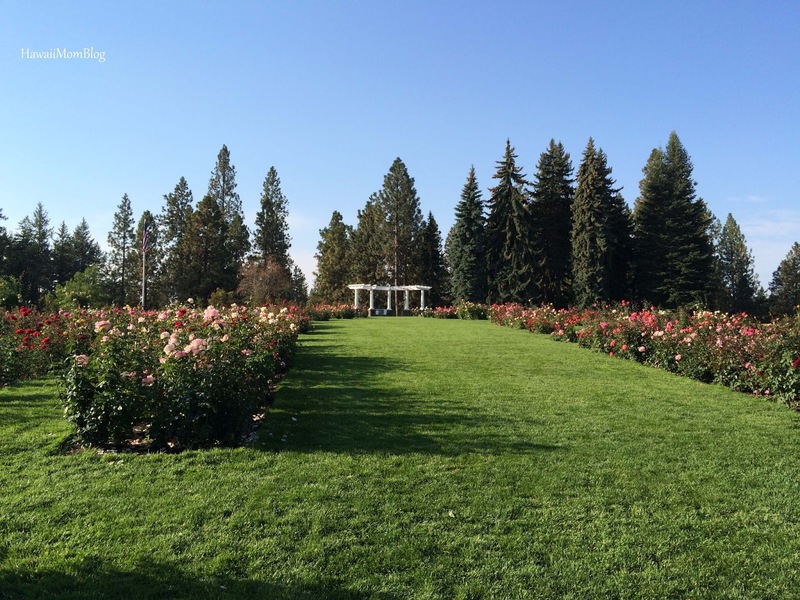 Located just a few minutes away from Downtown Spokane is Manito Park. 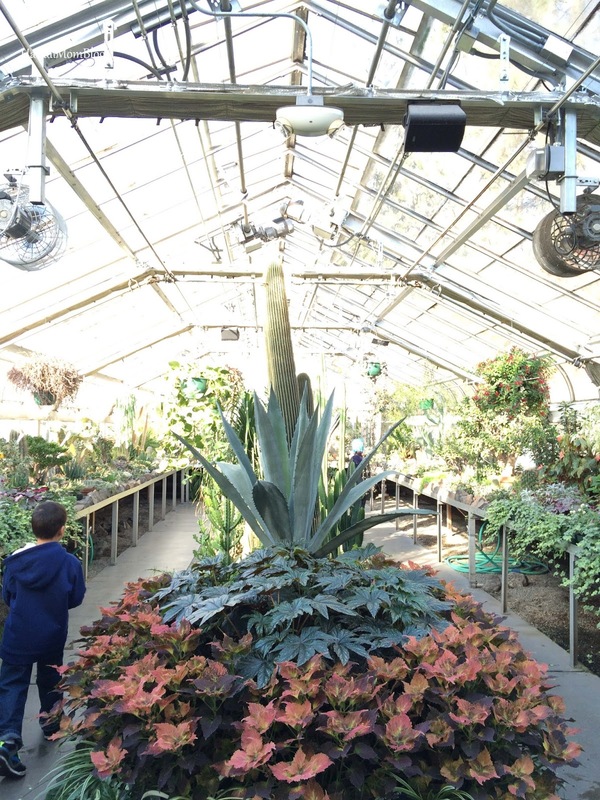 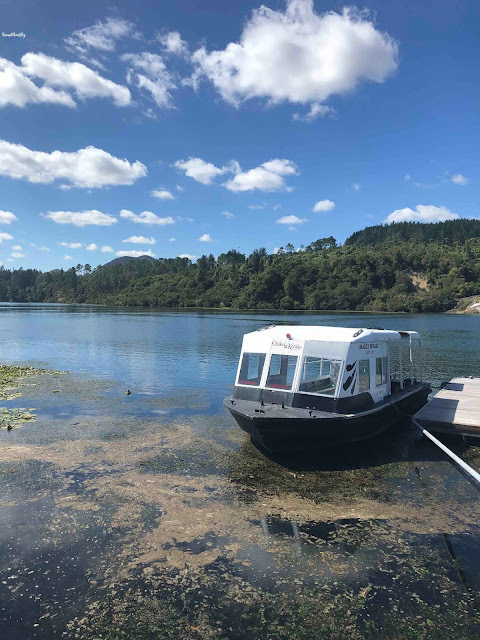 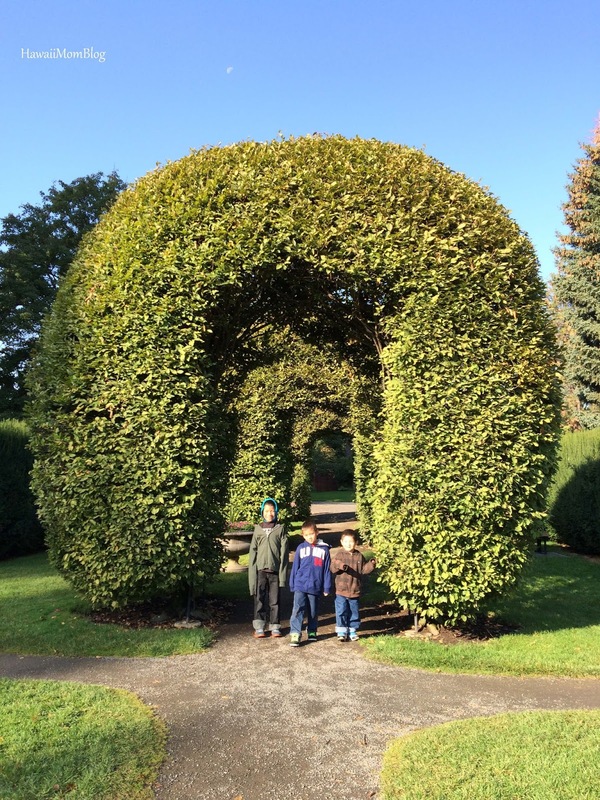 The 78-acre park is home to a splash pad, playgrounds, duck pond, and greenhouse conservatory, but it was the gardens, particularly Duncan Gardens, that drew me to Manito Park. 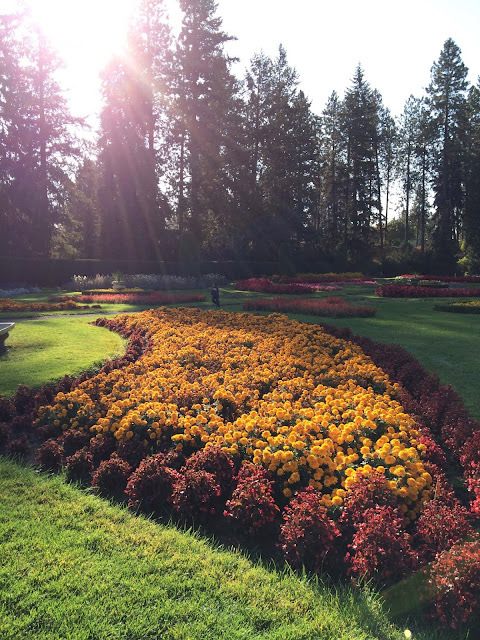 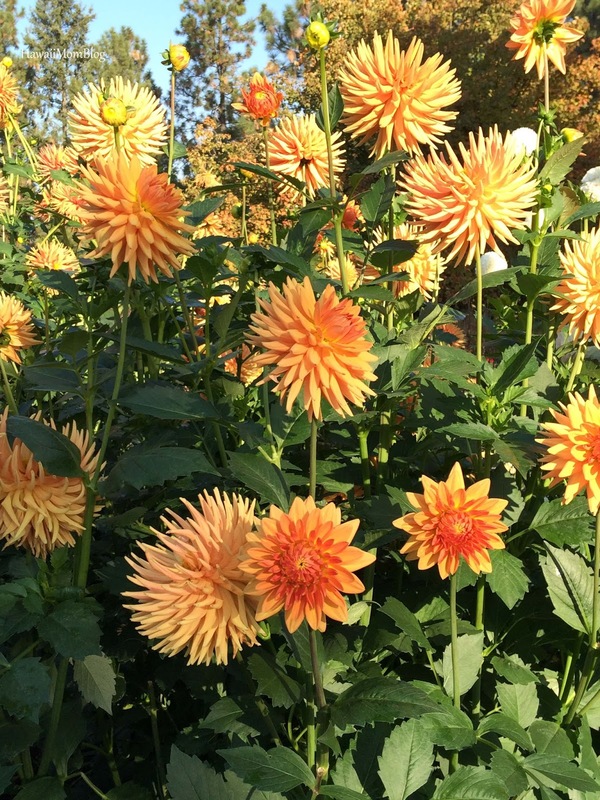 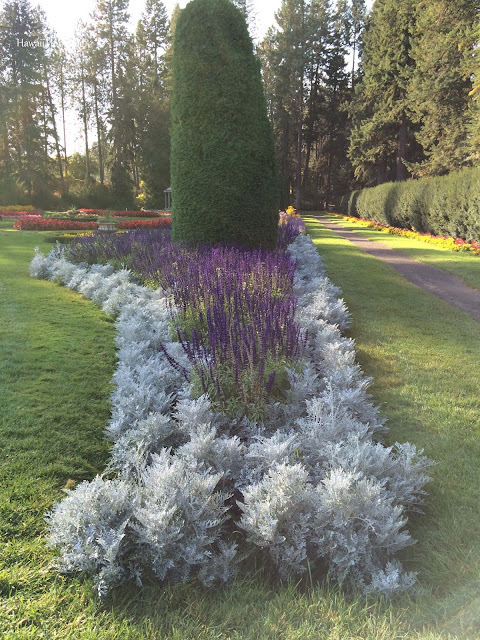 There are a total of five gardens at Manito Park that are full of plants and flowers in all colors imaginable. 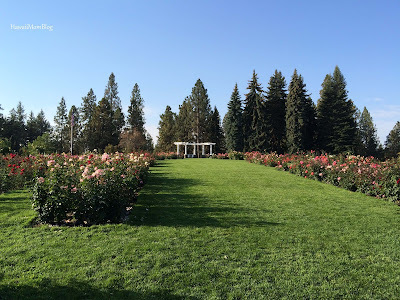 As soon as we arrived at Manito Park we stopped at Rose Hill. 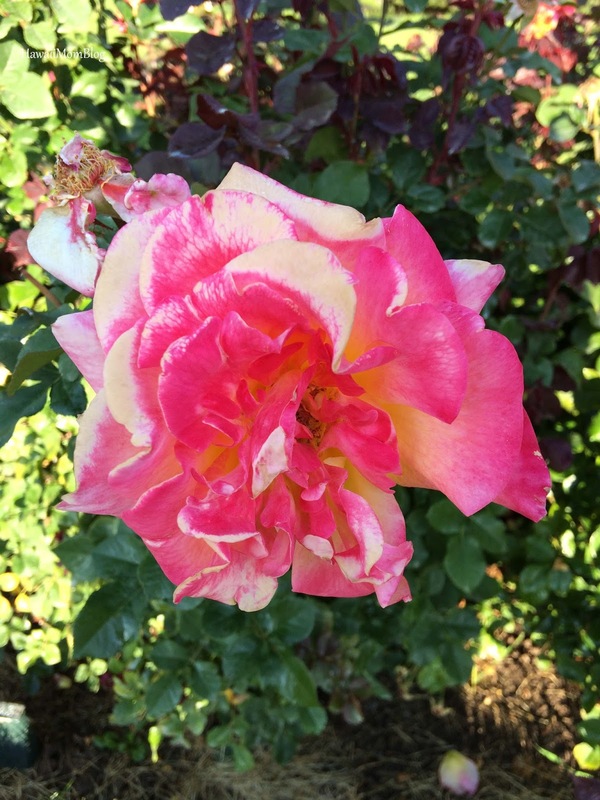 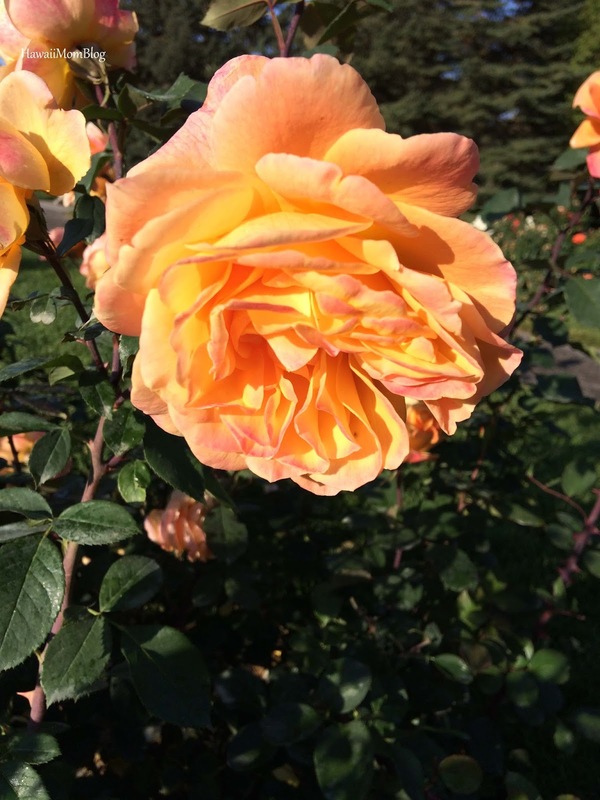 I had no idea there were so many varieties of roses - over 150 types of roses can be found at Rose Hill! 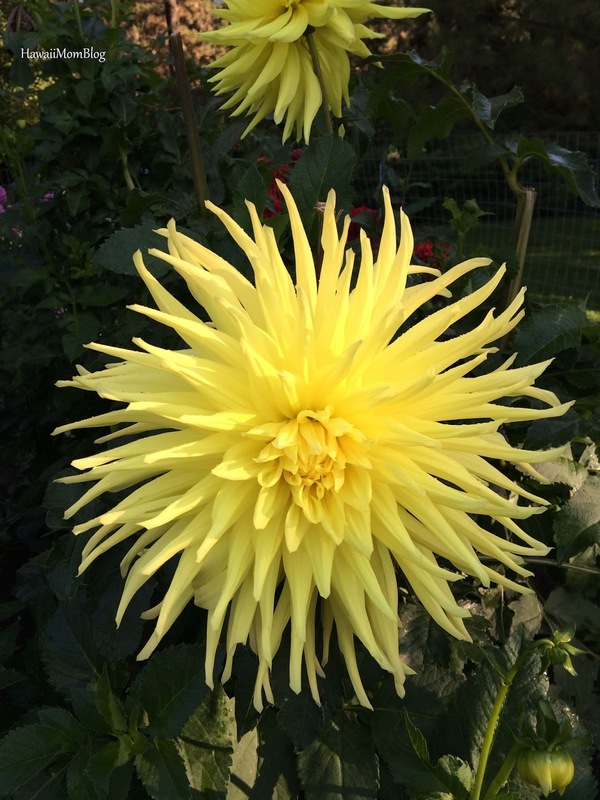 Near the garden of roses was the Inland Empire Dahlia Society National Trial Garden. 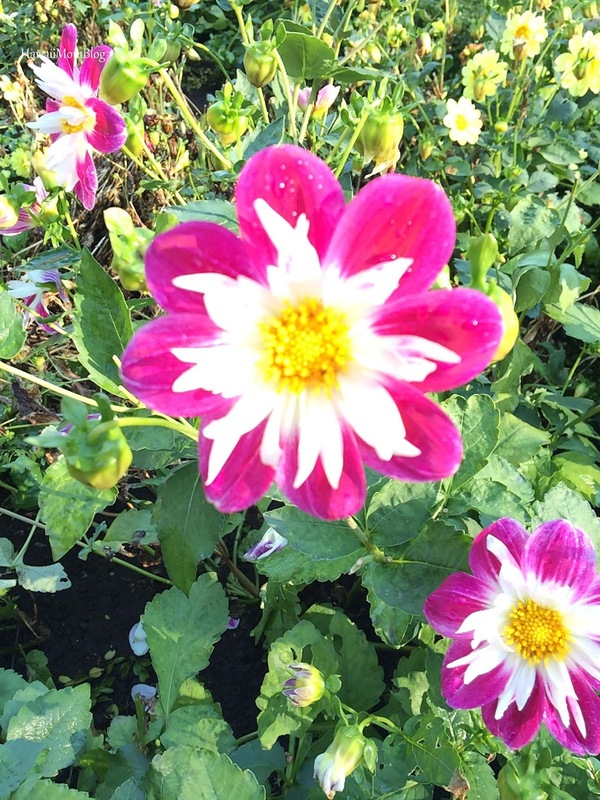 Gorgeous blooms in hues of yellows, purples, and pinks were a beautiful sight! In addition to the Rose Hill Garden, you'll also find the Nishinomiya Tsutakawa Japanese Garden, Lilac Garden, and Ferris Perennial Garden. Because we were pressed for time, we were unable to go to these gardens, but we did head straight to Duncan Gardens right after Rose Hill. Complete with a fountain and gazebo, the garden is picture-perfect (in fact we saw a family taking professional photos there). 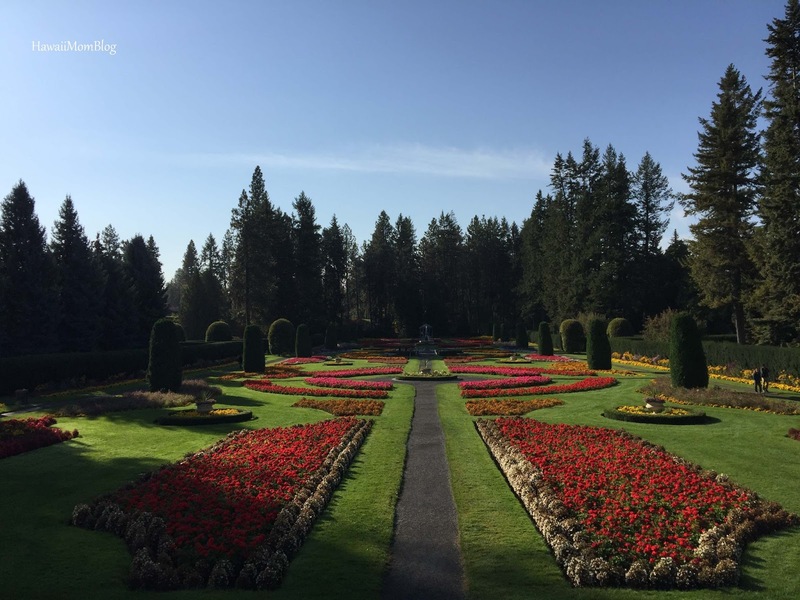 Duncan Gardens was absolutely beautiful. 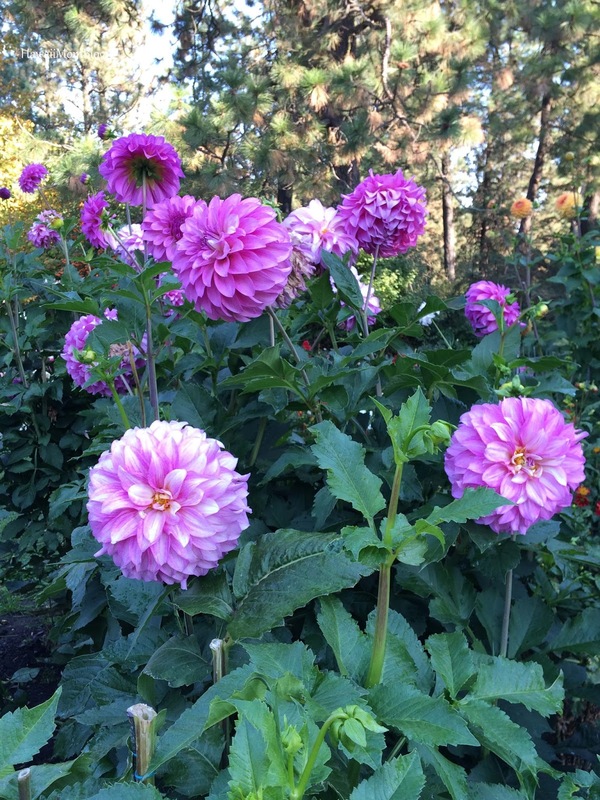 The vibrant pinks, purples, reds, and greens were spectacular. 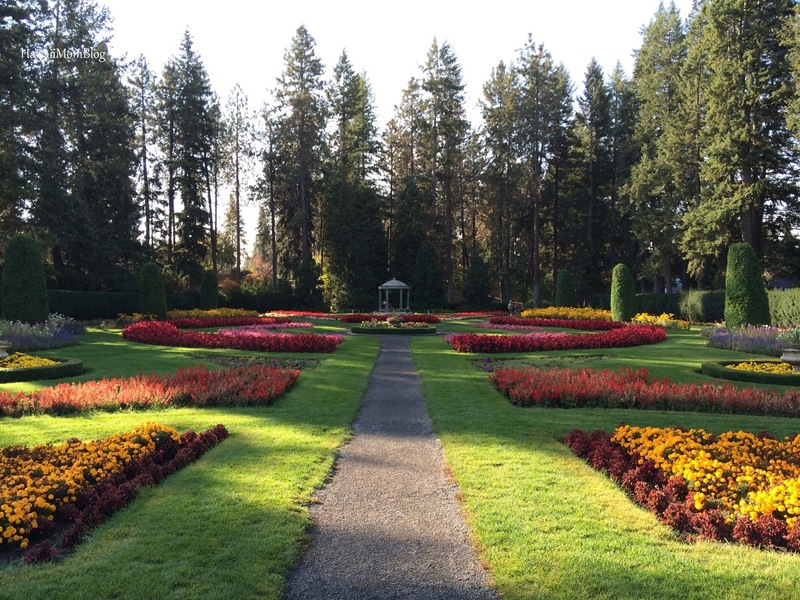 We saw a lot of people strolling through the gardens, jogging with their pets, and playing at the playground. 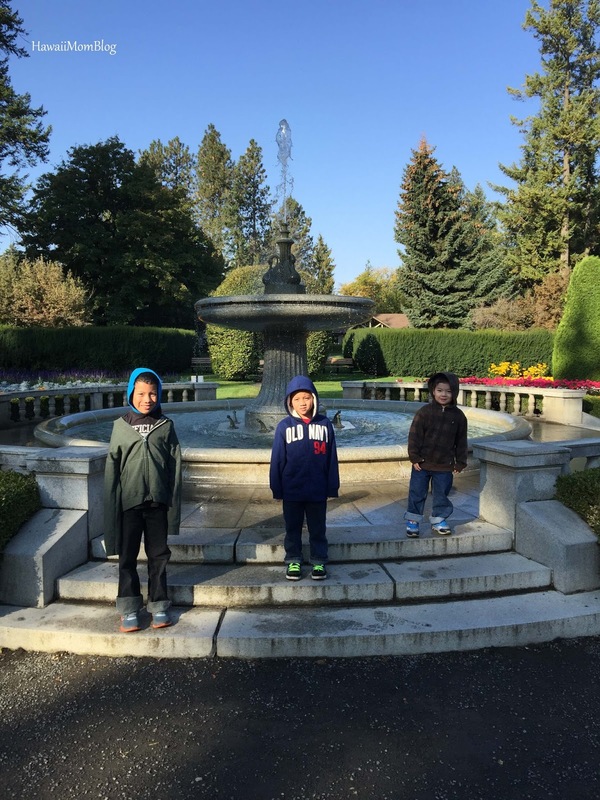 Manito Park is a lovely place to visit in Spokane!